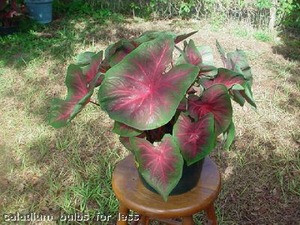 Blaze is an absolutely beautiful Red Caladium!! This Weekly Special is for 25 Jumbo Bulbs! !